Who doesn’t love noodles? The noodles full of chicken, shrimp, and meatball will easily be a favourite for your customers. Sauté onion, garlic, and ginger until fragrant, then mix in beaten egg and stir until thoroughly mix. Add in chicken fillet, meat ball, chay sim, Chinese cabbage, and boiled egg noodle and mix them. Pour in Bango Kecap Manis, fish sauce, and Knorr Chicken Powder, then mix well. 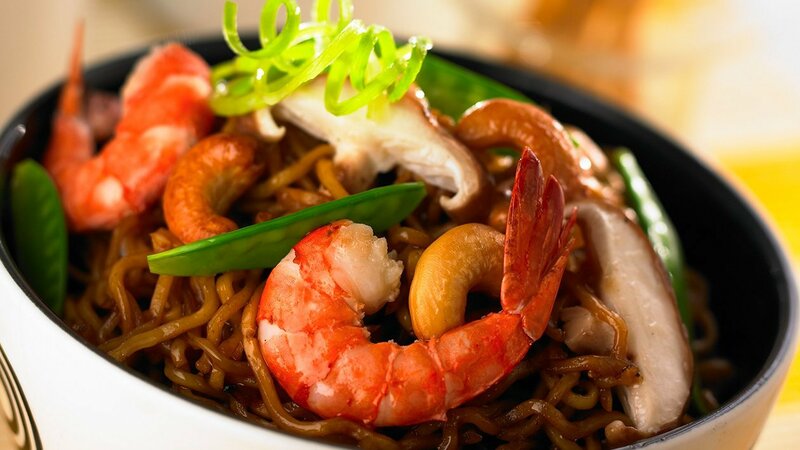 Add red chili, leak, and fried shallot, then serve the special fried noodle with fried tiger prawns as garnish. Serve hot. Serve well and place with a good platter, serve while hot.